Kitts Hummock Beach is pretty much identical to Pickering Beach with one exception. Both places are on the Delaware Bay so you definitely don’t want to be swimming there. In fact, we visited at low tide and the water was particularly muddy but when you take your kids to the beach it’s next to impossible to keep them out of the water entirely. 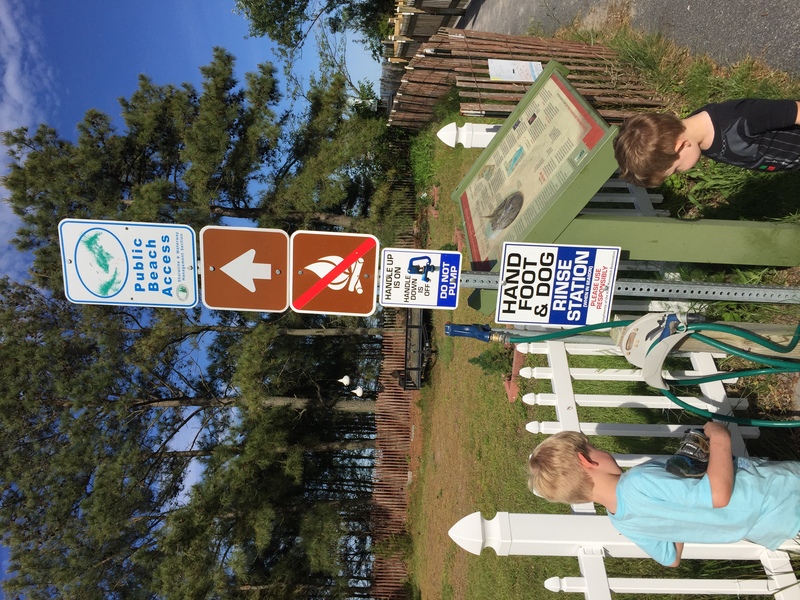 The difference is that Kitts Hummock offers a convenient foot washing station to wash that bay mud off when you’re done exploring. 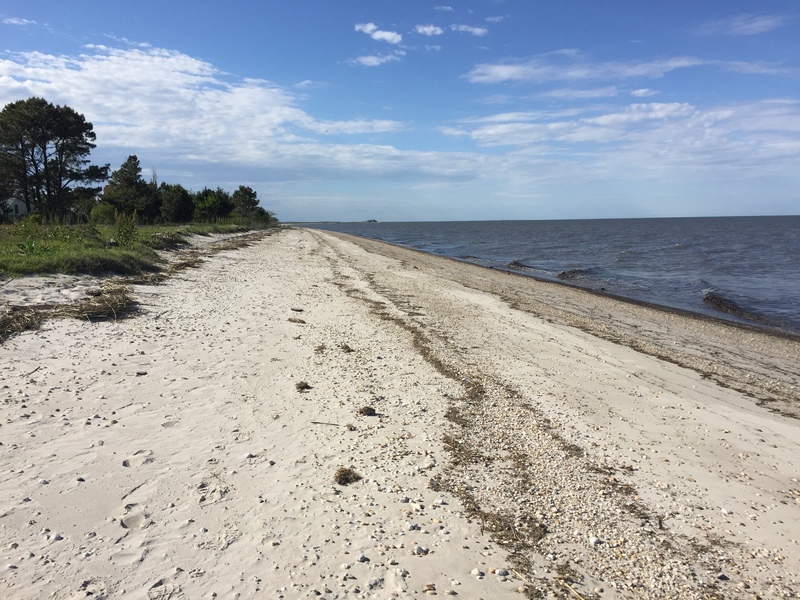 Kitts Hummock is great for beach combing, horseshoe crabs (from May-June) and just walking along the water. How awesome is it that we have the opportunity to do that only a few minutes from Dover? If you talk to someone who lives hours and hours from any beach, you may realize that you take for granted our proximity to salt water. 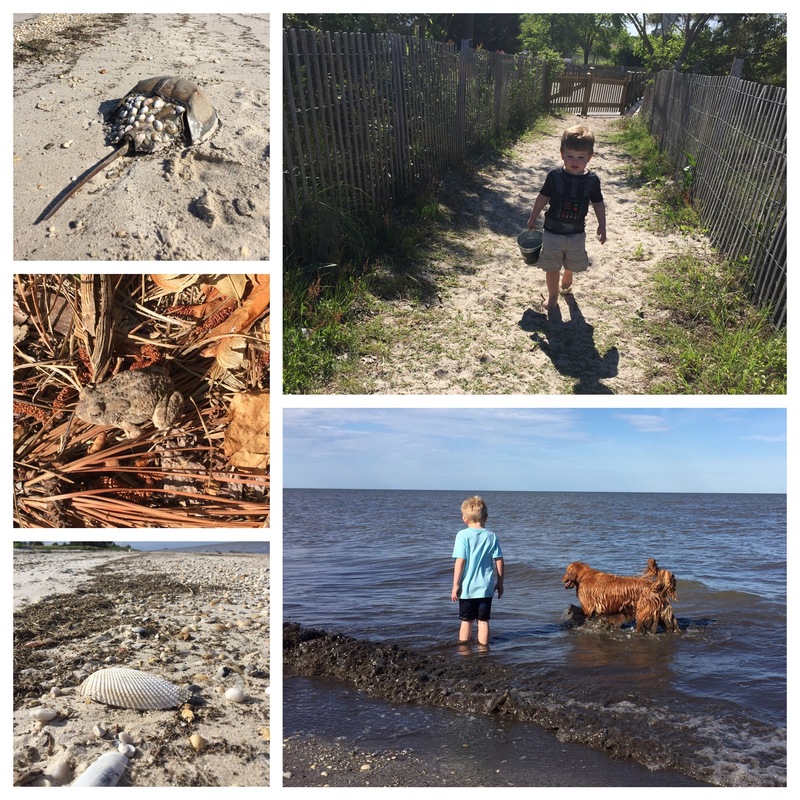 I was feeling a bit overconfident when I took both boys and both dogs to Kitts Hummock Beach by myself and to be honest, it was a bit chaotic. D was running way ahead of us, O wanted me to hold his hand the whole time and was lagging behind and both dogs were yanking my arms off in different directions. But, everyone had a great time and that’s what matters. The older our first (fur) baby, Gibson, gets, the more I realize how valuable these experiences are to his quality of life. He loves to go on adventures and especially loves swimming. Do you ever take your furbabies with you on your adventures?